Hello again. It’s me. I’ve gone missing since early February, at least from this page. Those who’ve been blogging much longer than I have already know what I’ve discovered: use that voice or lose it. For a host of very good but also not very good reasons, I’ve not written here for the past five weeks or so. I’ve missed the writing and I’ve missed the visiting that happens afterwards. I’ve missed these things much more than I ever thought I would when I first started this blog. The longer I went without starting or, in some cases, finishing a post, the harder it was to find my voice, my words. They were working full time in other parts of my life and my work and when I called upon them here, they shook their heads, turned their backs on me, and punched out on the time clock. 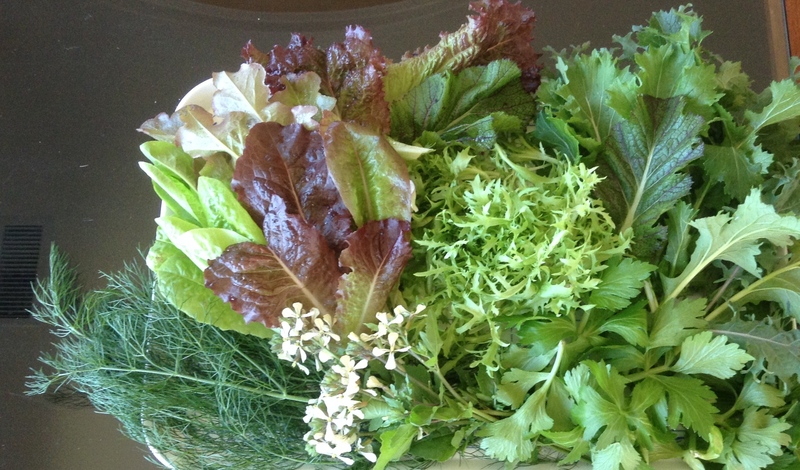 Lettuces, fennel, kale, celery, arugula and arugula flowers which turn out to be delicious as well as pretty. 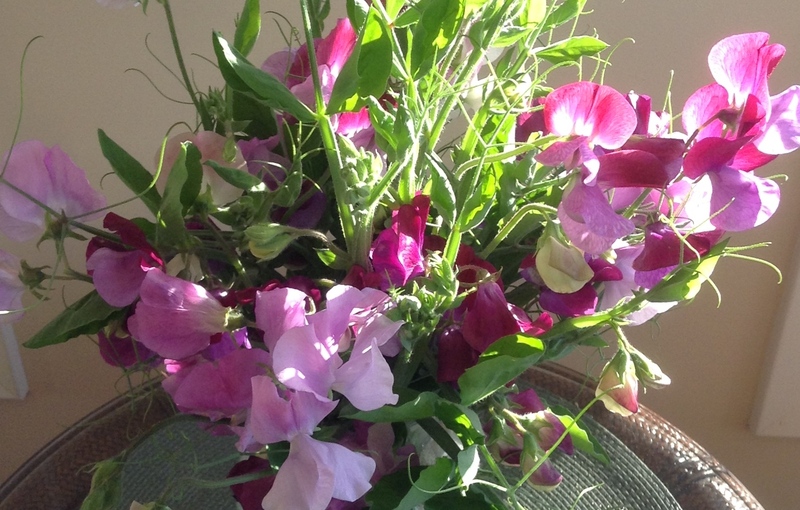 A little later she brought me some sweet peas which are not edible but sure smell nice. 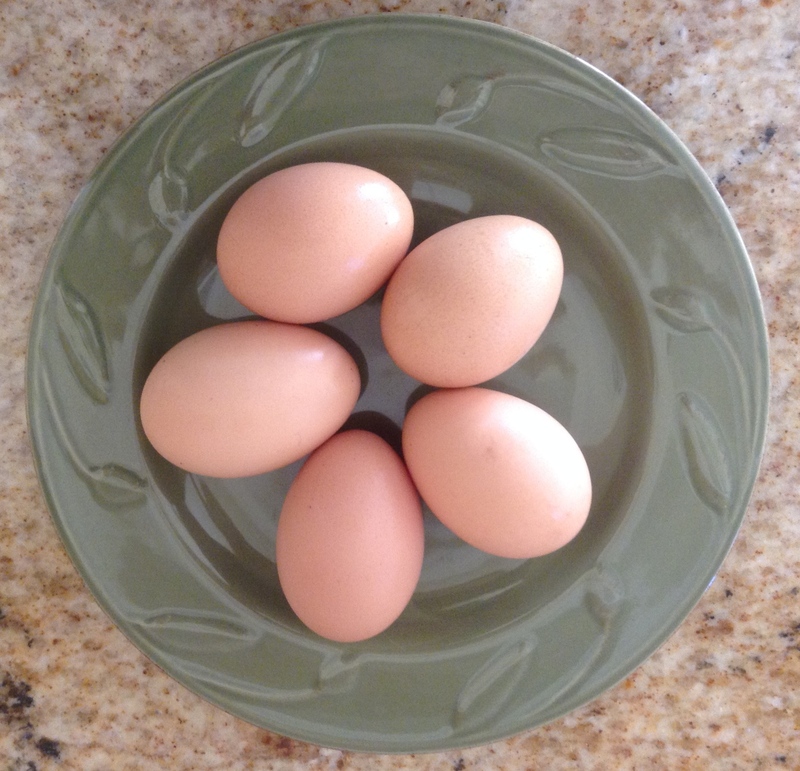 Today, my friend Polly gave me a dozen eggs. They were tan, perfect, and freshly laid by her four hens. “The girls have been busy,” she said when I wondered how she could spare so many. 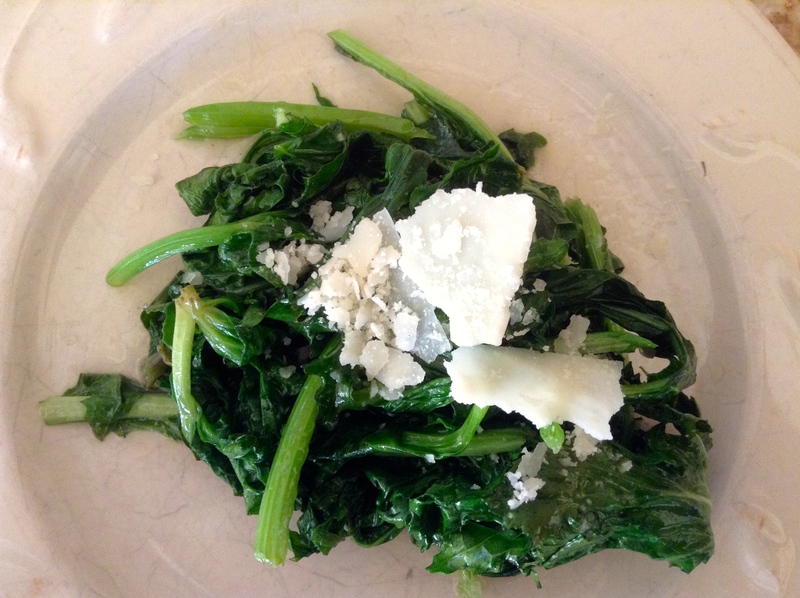 My friends didn’t just give me food, they gave me tonight’s meal and tomorrow’s breakfast and enough eggs to make a ricotta pie this weekend. Here’s how I dined tonight. 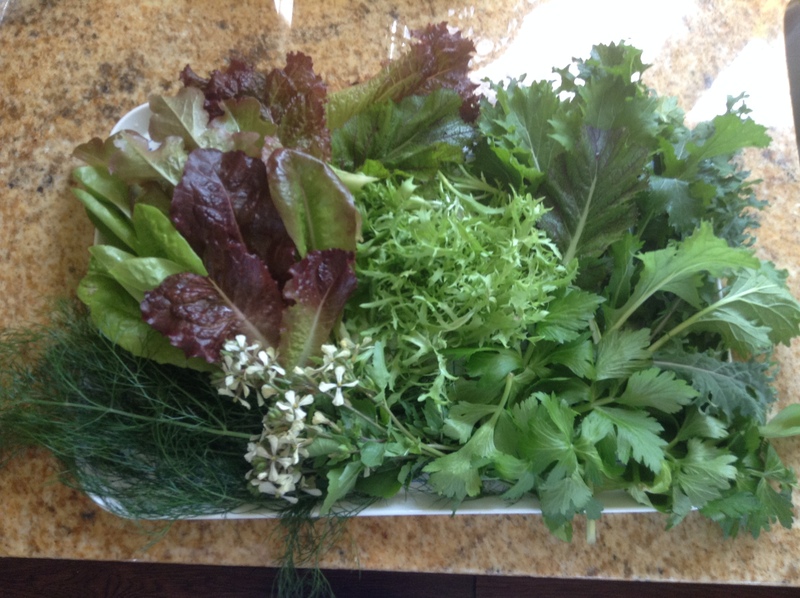 I turned some of Sue’s greens, fennel fronds, and the arugula flowers into a chopped salad. I chopped up some of my own mint and basil to add to the mix. 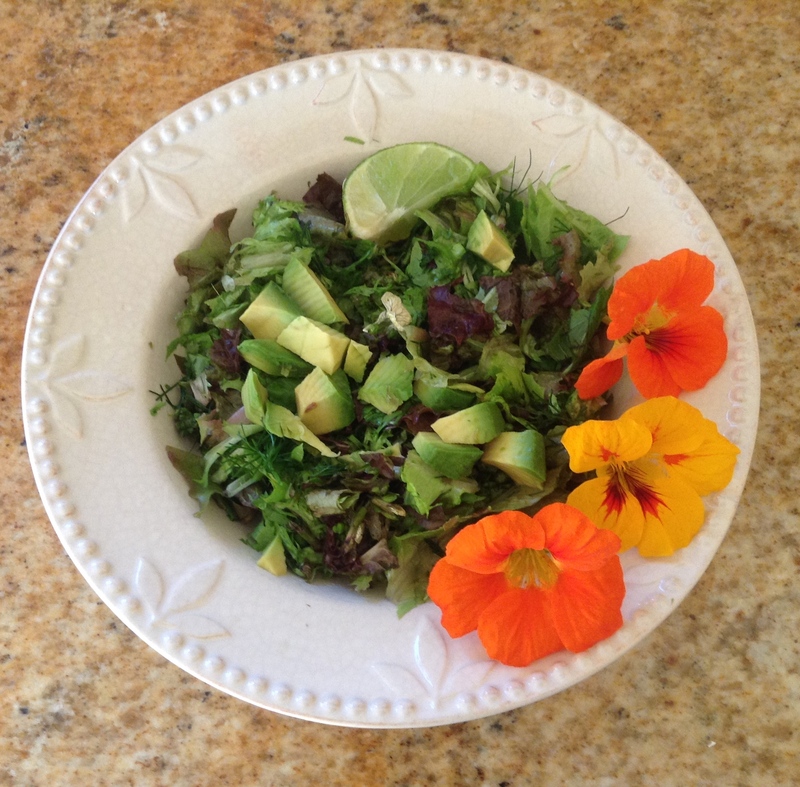 Chunks of avocado, a little squeeze of lime, a drizzle of olive oil and some of the nasturtiums that finally showed up this year in my backyard. You nailed it, Betsy. If you don’t use it – much like fitness – you can quickly lose it. The good news is, a blog has no rules. You can write whatever insanity, inanity, or irrelevance crosses your mind, as long as you can execute it well (thus my entire blog). It’s true what they say; we eat first with our eyes. Your photos are beautiful and so is your subject. What thoughtful friends you have. I’ve blogged for years, and I find that we need a little break now and then to just live life so we have something to write about. Great thoughts Betsy thank you…..
What wonderful gifts from your friends! Here in New Jersey, there is still snow on the ground. 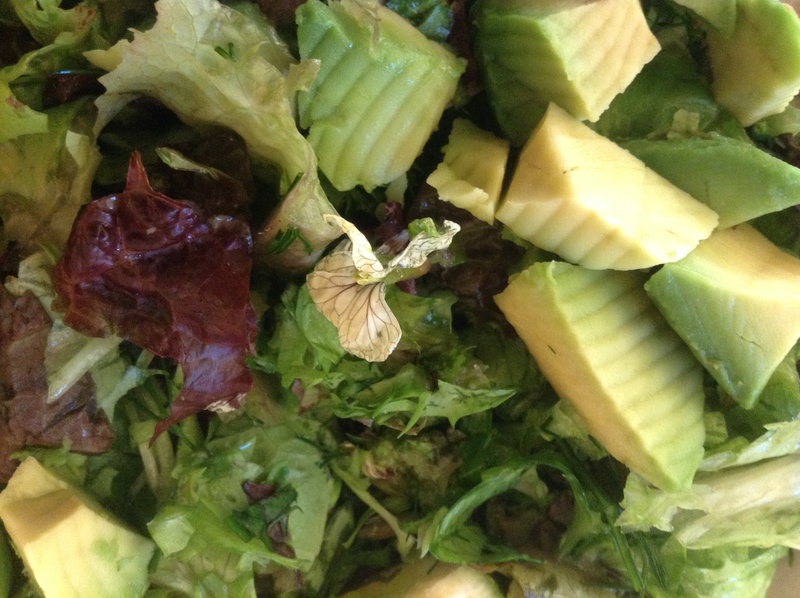 I am waiting for the day when I start planting my lettuce seeds in my garden.